CA550-50-C17E-6 71505705( Agco-Gleaner) gathering chain, fits Agco-Gleaner all headers after 1990" hugger" models and 3000 series. with solid chrome steel pins. CA550-48-C17E-8 31-1572073(White/ Oliver) gathering chain,fits 700 series. S/N 47000 and lower. with solid chrome steel pins. 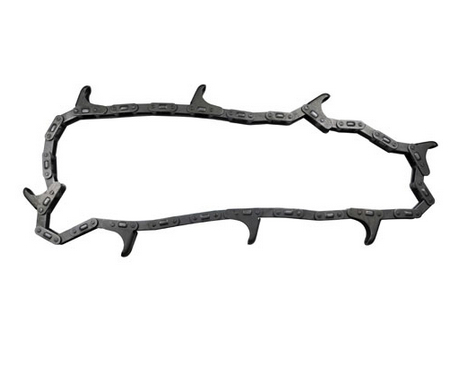 CA620-48-C6E-8 AH208978(John Deere) gathering chain, fits john deere all 600 series cornheaders. with solid chrome steel pins. 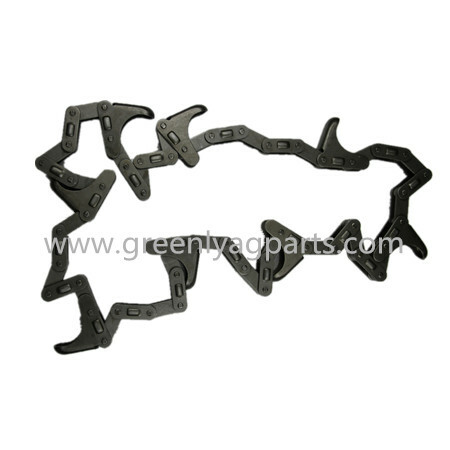 CA2060H-64-C6E-8 241090M91(Massey ferguson) gathering chain, fits all Massy heads except 9400 series . with solid chrome steel pins.